After any recession, the level of subprime consumers is bound to grow. And interestingly, this trend, on top of a few other market factors, has created a “perfect storm” of sorts for the expansion of indirect financing on subprime auto loans in Canada. 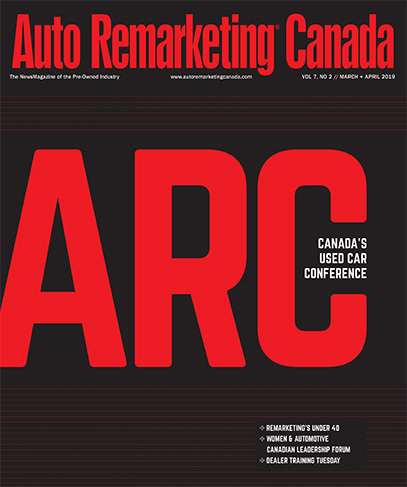 Michael Rothe, director of legal services at the Ontario Motor Vehicle Industry Council , explained this market shift to Auto Remarketing Canada, noting large banks such as TD Bank and ScotiaBank are aggressively expanding their business in indirect finance. Rothe shared that Canada is experiencing a very similar environment to the U.S., with 20 percent to 30 percent of auto loans falling into the subprime category. Coupled with a rising number of subprime customers, subprime auto loans are skyrocketing, and dealers need to be aware of potential concerns that may come with financing to lower credit spectrums. Rothe said, “Transparency is key,” when lending to subprime customers. Rothe cautioned dealers to increase transparency regarding negative equity, or the amount of money these subprime customers owe on their previous vehicle. Rothe shared that a significant 50 percent to 80 percent of auto loans in Canada are considered negative equity deals, with money owed ranging from $2,000 to as high as $25,000. Rothe noted one of the problems OMVIC has tracked recently is the credit rebuilding elements to many of these negative equity transactions are not being highlighted. Rothe pointed out an informed consumer is also beneficial to a dealer, because if everyone understands the nature of the deal, then there is no misunderstanding down the road, and ultimately, it will protect the dealer. “If you are engaging in credit rebuilding, it should be a best practice to put that in writing and have the consumer sign off on it. Make sure they fully understand the terms of that credit rebuilding program,” he said. Rothe also pointed out that another issue arising is when an individual in a subprime or negative equity situation has a motor vehicle accident and may not have GAP insurance. “Their insurance payout is significantly less than what they owe on the vehicle, and we’ve seen this result in an increase negative equity position for the consumer,” Rothe said. And it seems the growing number of long-term loan trends may not only be detrimental to the used supply pipeline, but could also put a damper on subprime lending. “What allows the subprime buyer transaction to work for both the dealer and consumer is long terms of financing,” said Rothe. Long-term loans might make more subprime financing possible, but it may be cause for concern down the road, Rothe cautioned. Before the 2008 recession, average loans in Canada fell into the five-year mark, but now the country is seeing 96 month or eight-year loans, Rothe said. Unfortunately, loan terms may have increased, but interest rates for subprime customers haven’t come down. The only thing that makes long-term loans with 18- to 25-percent interest rates “palatable,” Rothe says, is the small monthly payments. “Consumers tend to be payment junkies. They ask, ‘What’s my monthly payment?’ They don’t tend to focus on the overall cost of the transaction. We are actively trying to educate consumers and teach them to look at the overall cost of the transaction,” Rothe said. “If the 50- to 80-percent negative equity rates are to be believed, this is not a sustainable business model,” he added. At some point, dealers are not going to be able to refinance those levels of negative equity, and there will become a point in next five years, Rothe predicts, that vehicle owners may start to default on these loans.